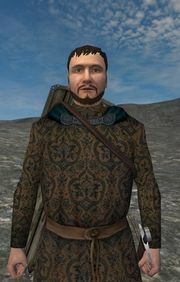 Lord Kastor declares himself the rightful king of the Rhodoks. Rather than having hereditary rulers, Rhodok kings are elected by a council which meets in a no-man's-land where weapons are forbidden on pain of death. The current king Graveth was one candidate, Kastor the other. During the deliberations, Graveth appeared wielding a sword, informing the council that a Swadian raiding party was approaching the field and he would leave them to their fate if they did not elect him king right then (which they did). Lord Kastor holds that Graveth violated the sacred tradition by arriving bearing arms, thus making Kastor the rightful king by default. This page was last edited on 1 July 2009, at 15:48.